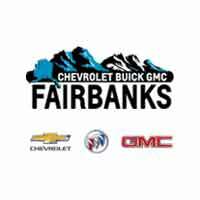 If you’re looking for a fantastic deal on Chevy oil change coupons, Buick oil change coupons, or GM oil change coupons, you’ll want to head out from North Pole to Chevrolet Buick GMC of Fairbanks in Fairbanks, AK. Beyond our oil change coupons, we have a rotating panel of service change coupons from which to choose – from brake service to tire repair and rotation services and more! Explore our Chevy maintenance coupons before you contact our service department today! Our service specials vary here and there, but we strive to keep a handful of service coupons available for routine Chevrolet, Buick, and GMC maintenance. That way, those who serve at Eielson Air Force Base and Fort Wainwright have their vehicle in working order. Of course, we advise you to consult your owner’s manual before following these guidelines. Oil Changes – It’s best to get your oil changed every few months or every few thousand miles. Tire Rotations – It’s best to get your tires rotated every few months so that your tread wears evenly. Fluid Checks – It’s best to make sure some fluids, such as transmission fluid, are flushed regularly. With other fluids, like coolant, you’ll want an optimal ratio of water to antifreeze. Brake Repair – It’s no surprise that Alaskan driving can take a toll on your vehicle. Since this is the case, you’ll want to get your brake pads replaced closer to 25,000 miles (rather than the upper limit of 70,000 miles). Again, you’ll want to consult your owner’s manual to ensure your Chevrolet, Buick, or GMC vehicle is in its best condition. Take Advantage of Our Service Specials in Fairbanks, AK! If you’re ready to take advantage of our rotating selection oil changes, brake services, and tune-ups, you’ll want to schedule service with our Lithia dealership today. Our commitment to customer satisfaction is just one reason why customers choose us. We’re just off the AK-3/Robert Mitchell Expressway in Fairbanks, AK, and we’re happy to answer any questions you may have. Simply contact us.